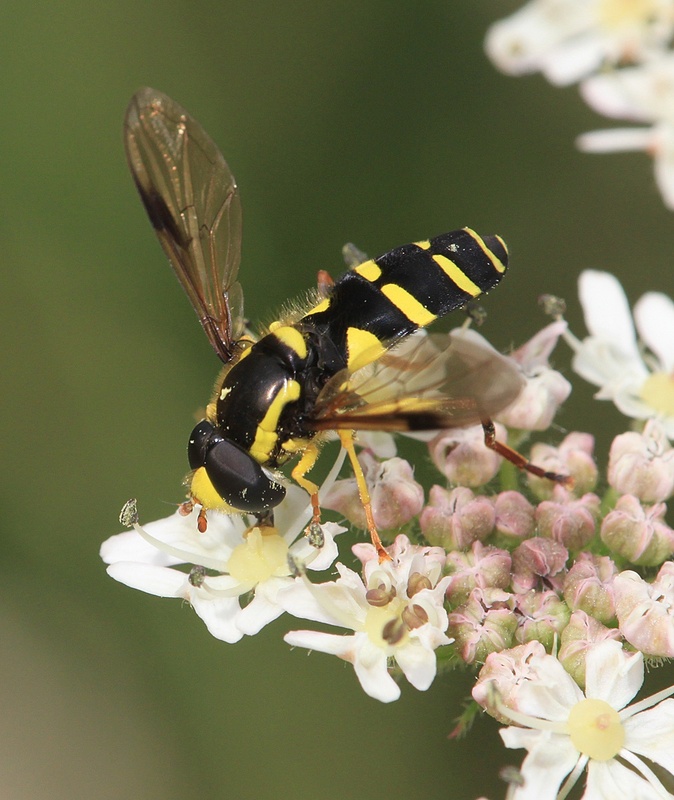 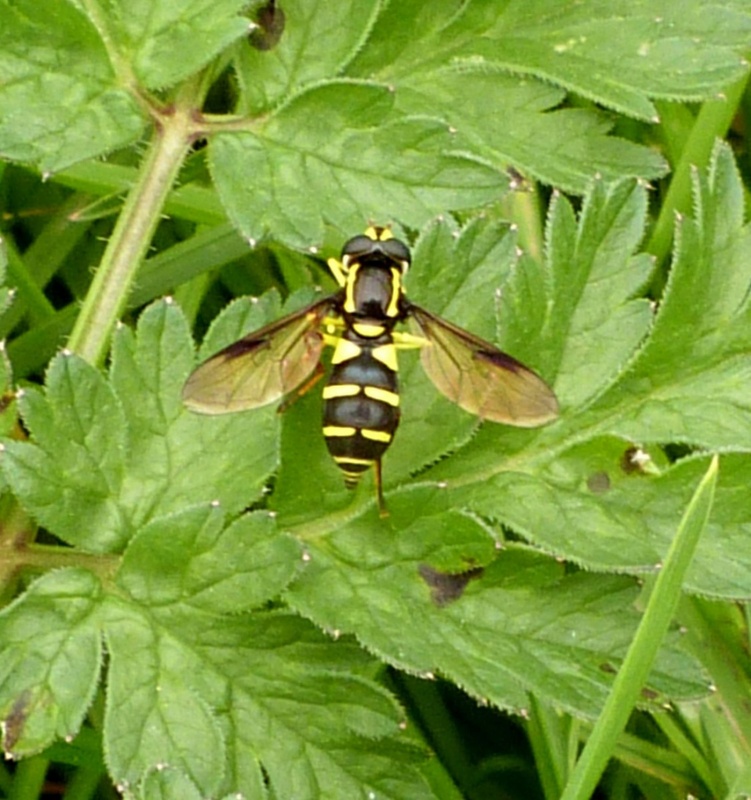 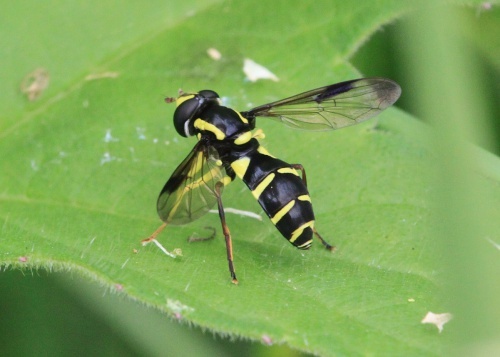 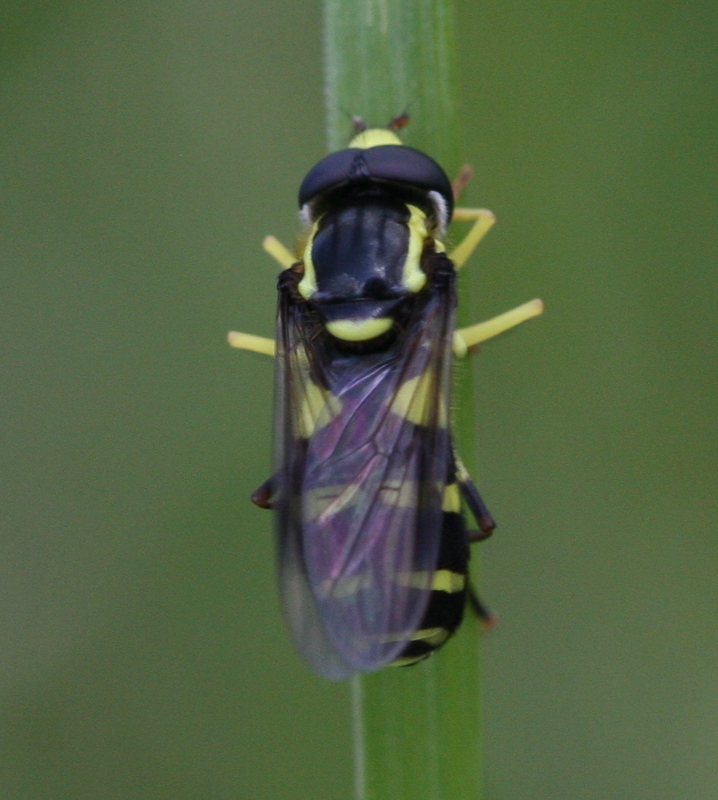 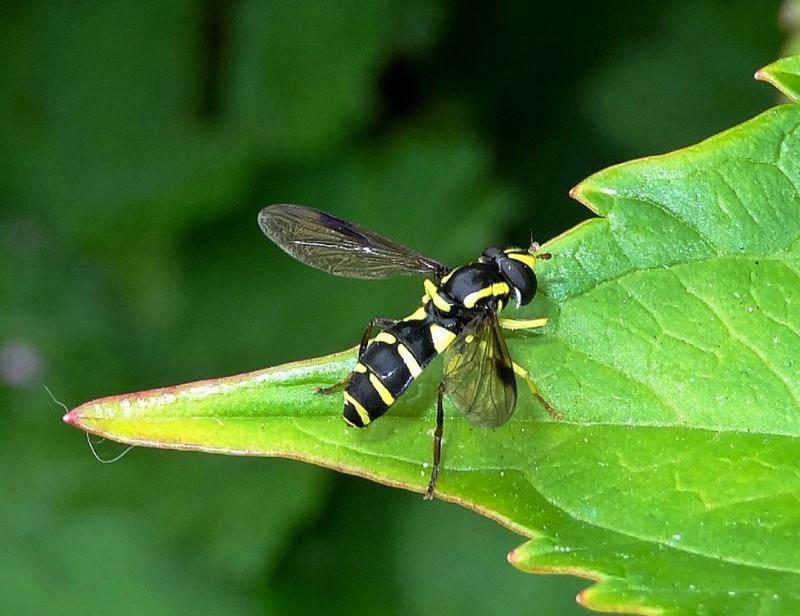 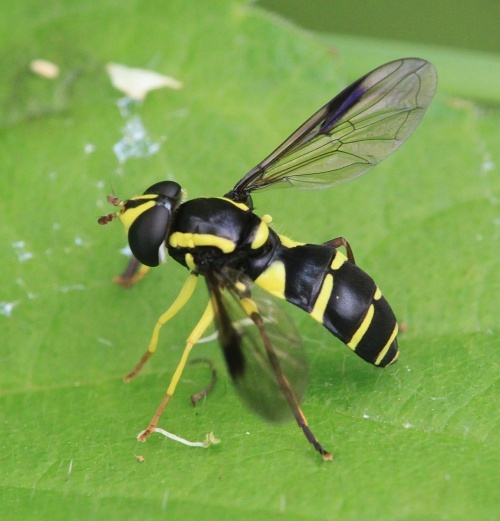 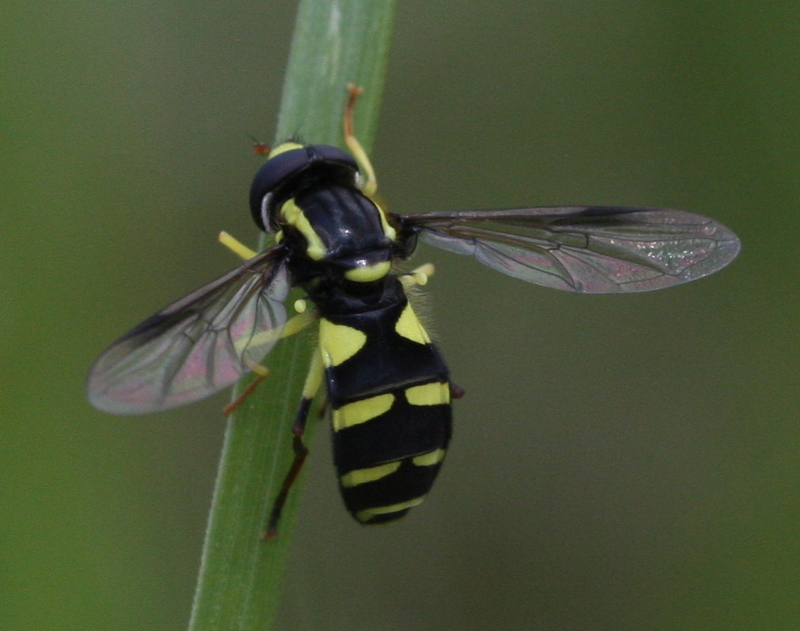 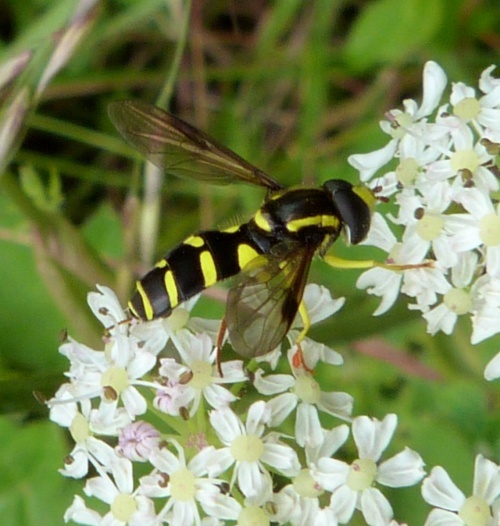 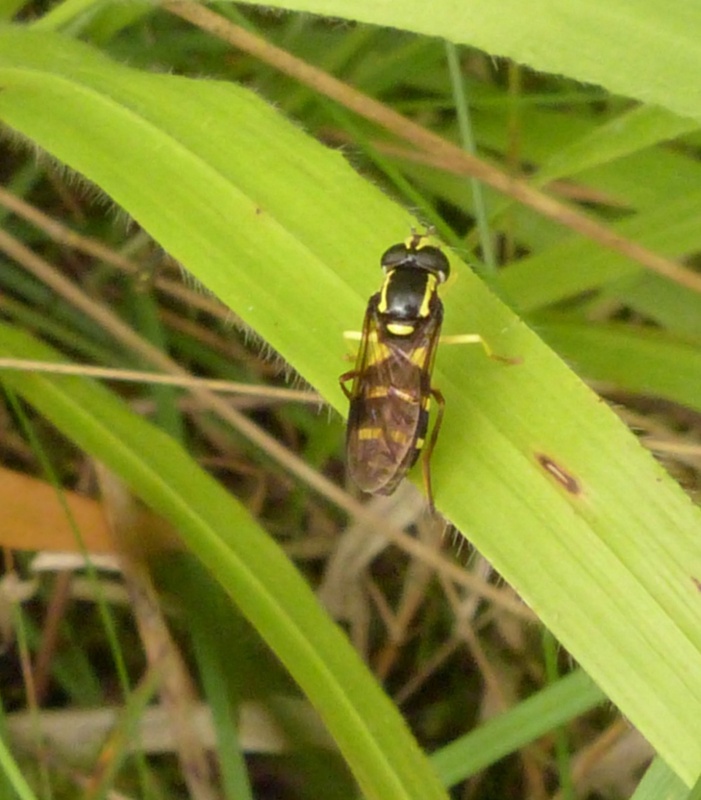 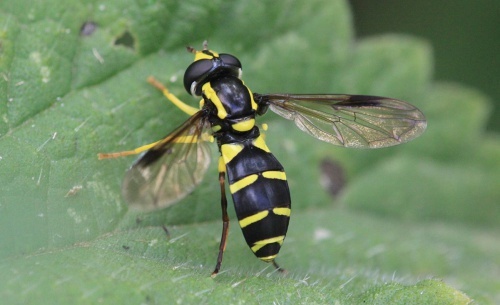 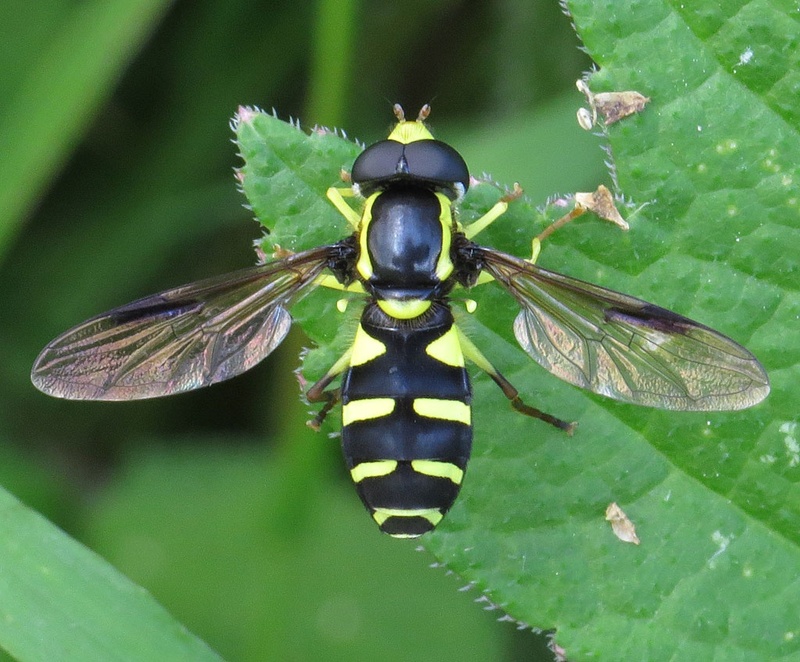 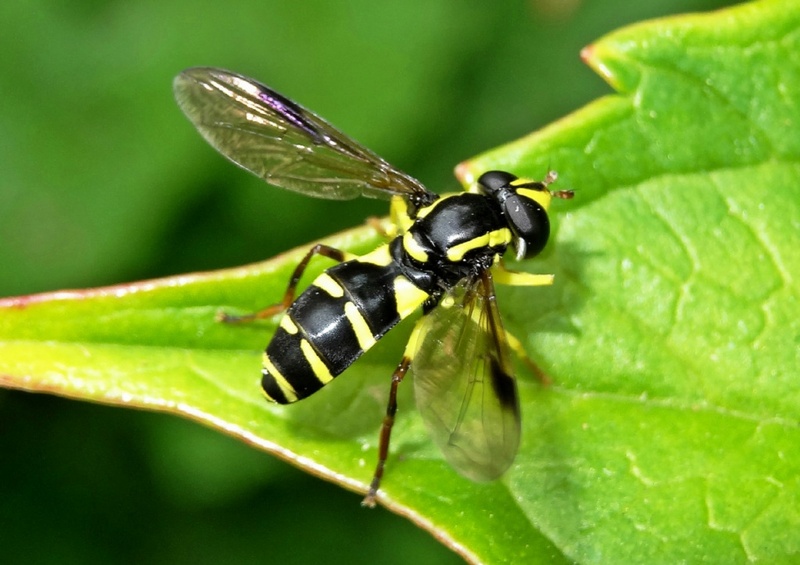 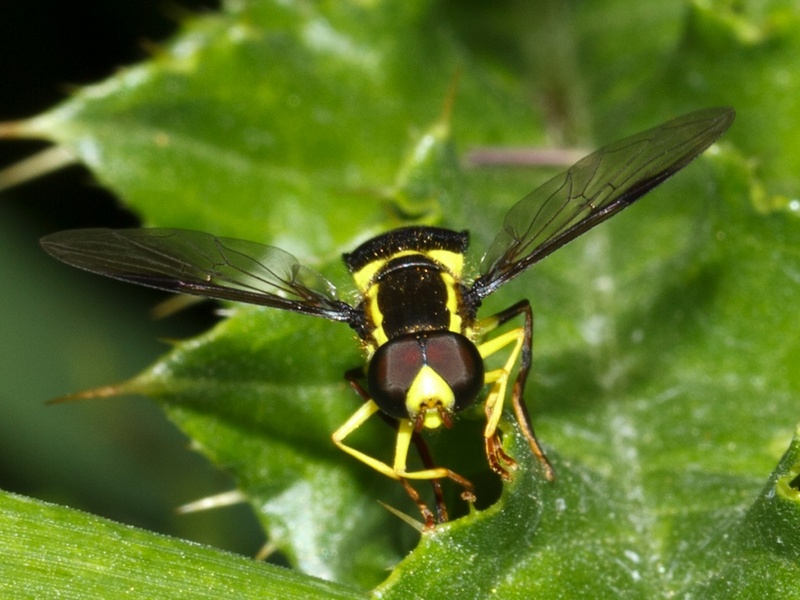 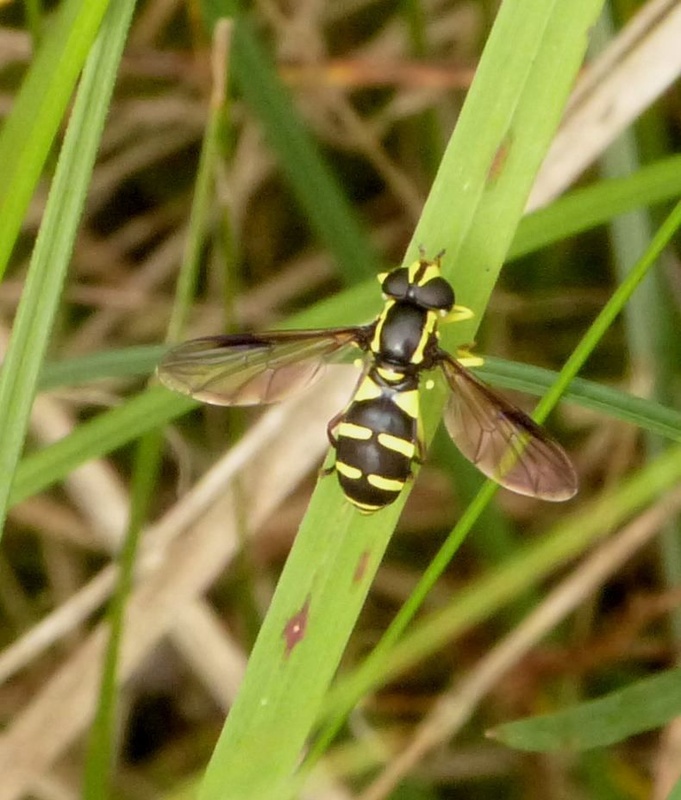 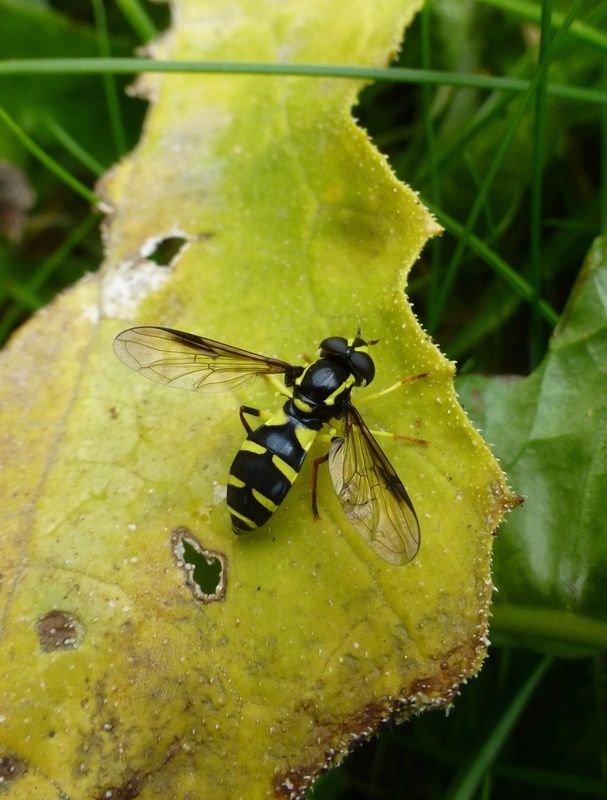 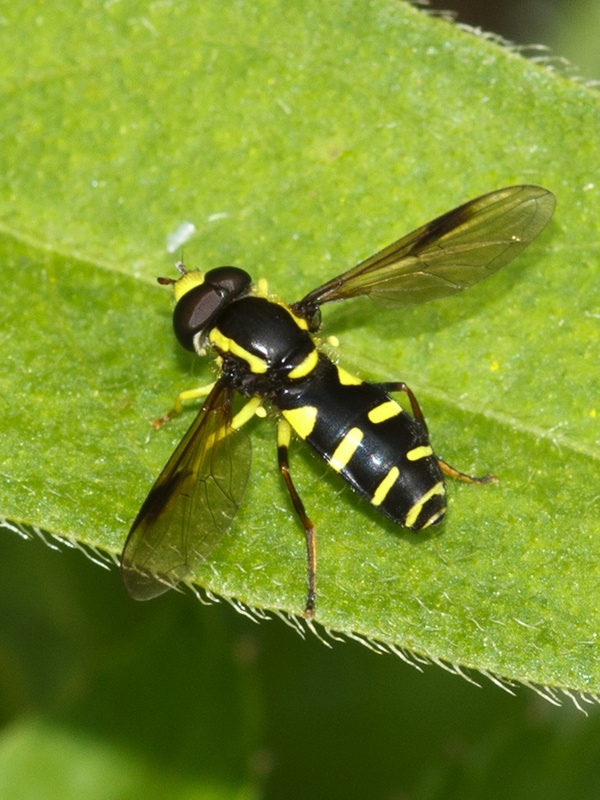 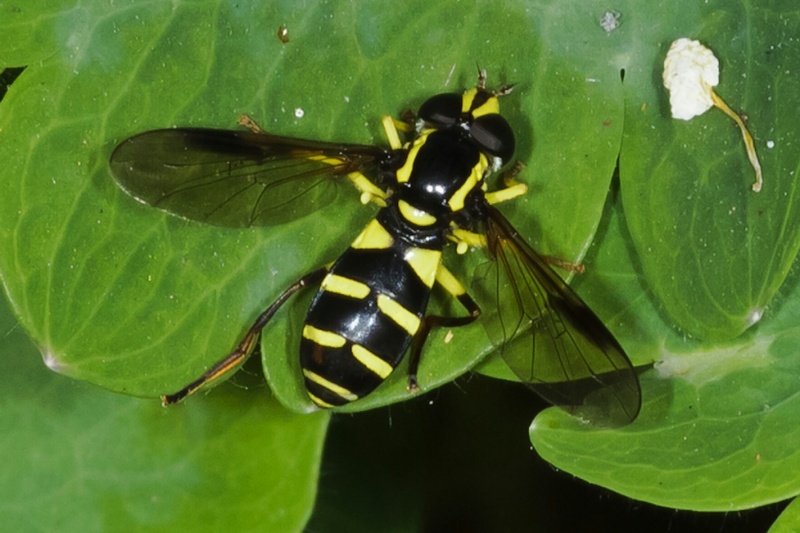 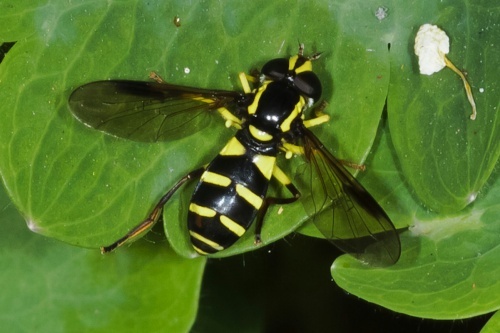 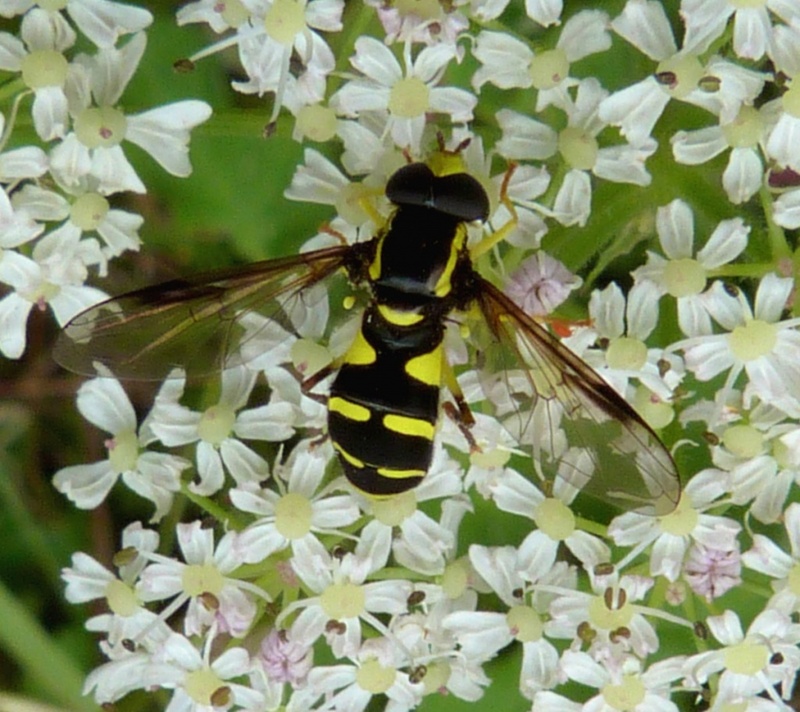 Quite a distinctive hoverfly, Xanthogramma pedissequum is best distinguished from the similar X. citrofasciatum by the dumpy appearance of the yellow triangles on tergite 2. Grassland and open woodland rides preferring short turf and some bare ground such as pathways. May to September peaking in late June and early July. 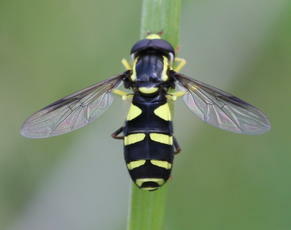 Males are sometimes seen hovering just a few centimetres above the ground, particularly over bare ground like paths. The larvae feed on aphids within the nests of ants. 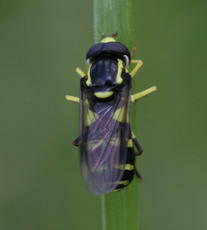 The species is quite frequent in southern England south of a line from 'The Wash' to the south Wales coast.